How do you develop an article on American Sustainability? First, let’s discuss the concept of sustainability. Sustainability in its simplest form is the objective of “maintaining change in a balanced fashion.” This shouldn’t be divisive; this isn’t a debate on buzz words that can be argued; it’s about maintenance in an ever-changing world. So how do we start this conversation? On a national scale, there are partners from whom we can get input. The EPA can discuss national initiatives, or the U.S. Green Building Council can review strategic projects (both of whom have contributed to the American Sustainability series), but where does that leave you? Whether you’re a mayor of top tier American city, a Public Works Manager for a village, or a community member who’s sick of seeing Styrofoam cups on the street – what does Sustainability mean to you AND what can you do about it? When sustainability falls short it isn’t about passion or debate, it’s in the execution. Just like an entrepreneur looking at an open office space or a writer looking at a blank screen, having an idea is stage one of seemingly infinite possibilities. So, how do you start the conversation? Sustainable Maryland is a certification program for municipalities in Maryland that want to go green, save money, and take steps to sustain their quality of life over the long term. 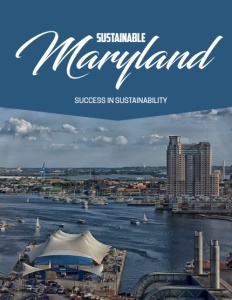 Sustainable Maryland is a collaborative effort between the Environmental Finance Center (EFC) at the University of Maryland and the Maryland Municipal League to replicate the success of the Sustainable Jersey initiative throughout the Mid-Atlantic States. 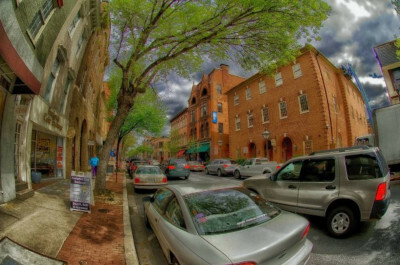 The Environmental Finance Center at the University of Maryland is one of ten University-based centers across the country providing communities with the tools and information necessary to manage change for a healthy environment and an enhanced quality of life. EFC believes that environmental finance can be used to develop a shared community vision. It was at this point that the group began looking for inspiration. After some research, Jen and her crew came across Sustainable Jersey, a non-profit organization that provides tools, training, and financial incentives to support communities as they pursue sustainability programs. It walked them through the operational best practices in fostering a sustainability outreach/education program. As the certification and branding launched in 2012, along with it came what would be the defining force of Sustainable Maryland. Mike Hunninghake and Brandy Espinola, Sustainable Maryland’s Program Managers, would be the final puzzle pieces in the launch of Sustainable Maryland. And with the launch, came a simultaneous opening of the floodgates for communities in Maryland to finally, and effectively, embrace sustainability. The aforementioned certification is deemed a prestigious designation for municipal governments in Maryland. 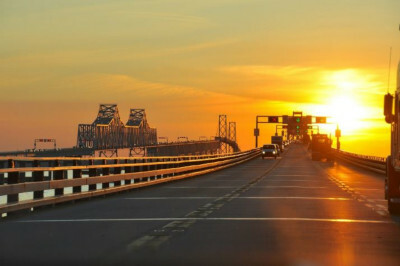 Municipalities that achieve the certification are considered by their peers, by state government, and by the experts and civic organizations in Maryland, to be among the leading municipalities. All actions taken by municipalities to score points toward certification must be accompanied by documentary evidence that is reviewed. Moreover, the certification is free and completely voluntary. 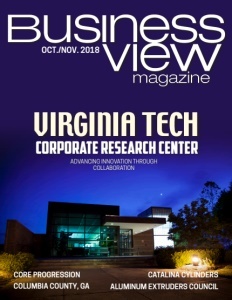 As Business View Magazine began speaking with certified communities in Maryland, one of the areas that city and community members said was the easy launch point for them was simply understanding what they needed to do, how they needed to get there, and possibly most important, what steps had they already taken (without even knowing it). So what does the not-so-blank screen of certification look like? The first step is the development of Green Teams. The importance of developing a commitment with the community whom this will affect before launching into the community goals is paramount in the success of any objective. As a goal evolves into a certification, which pivots to a technical assistance program, the lieutenants of sustainability in Maryland look back at their progress. “The success of the program starts with the champions of the programs,” echoes Jenny Beard, Communications Manager. The commitment of the team at Sustainable Maryland ensures the success of not only the program, but an entire state’s commitment to true action in sustainability. So how do you start a conversation on Sustainability? One of the most important things about the program is supporting and inspiring individuals and communities as a whole to pursue these projects because the change we need to make needs to come from the bottom up. We are the organization that’s doing that at the local level. Communities far and wide are interested in recycling. When a Styrofoam Recycling company approached Sustainable Maryland to gauge interest with local communities, the team sprang into action. First, a mention in a newsletter was followed by a discussion panel at a local summit. After the day was done, not only had Sustainable Maryland gotten commitments from 10 municipalities for Styrofoam recycling, but through a contact at the Department of Housing and Community Development, they also secured a pool of funds for the program. Check out this handpicked feature on Hyattsville Maryland – A world within walking distance.